Giving people better opportunities to participate actively in the labour market improves well-being. It also helps countries to cope with rapid population ageing by mobilising more fully each country’s potential labour resources. Weak labour market attachment of some groups in society reflects a range of barriers to working or moving up the jobs ladder. This report on Australia is the third country study published in a series of reports looking into strategies to encourage greater labour market participation of all groups in society with a special focus on the most disadvantaged. Labour market and activation policies are well developed in Australia. However, the gap in employment rates is still considerable for some groups of the population, including women with young children, disadvantaged youth, people with disability, people with mental health problems and the indigenous population. 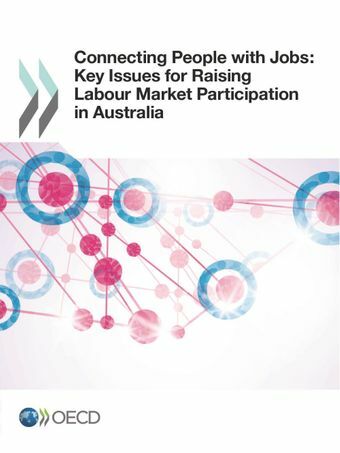 This report discusses the size of the gap and the - often multiple - barriers underlying low labour market participation of these groups, and it provides a non-exhaustive number of good practice policies and measures from other OECD countries which could guide Australia's policy development in the coming years.